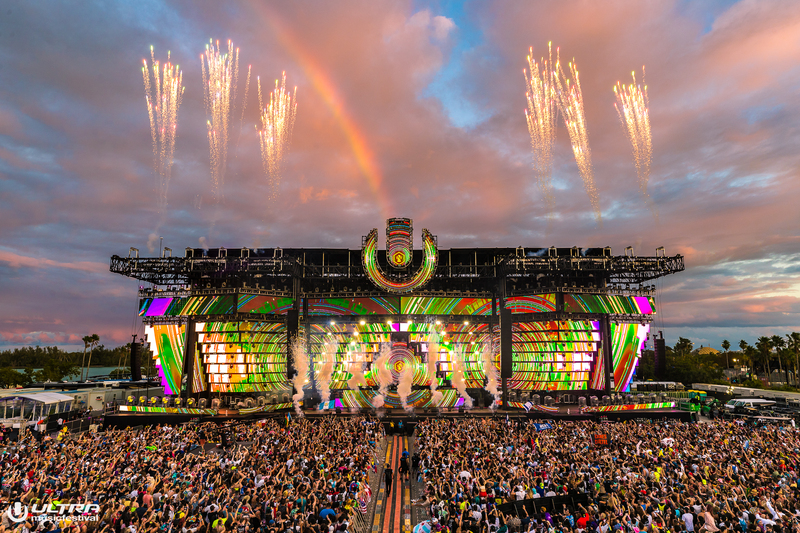 Ultra Miami 2019 locked down another year for the books, with stellar performances and brand-new experiences all day and night long this past weekend at the historic Virginia Key Beach. The 21st Anniversary welcomed an expansive new vibe, outstanding first-time performances by numerous artists, and another year of unforgettable memories for dance fans and industry members. A year of many firsts and an influx of change, this edition successfully carved a lasting name in its new territory after much anticipation and curiosity. Ultra’s Miami edition is known around the globe for being the debut event of what DJs and Producers have in store musically for the current year. Their nonstop studio work in months prior finally comes to light at Ultra, and Miami 2019 was a shockingly fantastic display of this, shedding light on a massive year ahead. Filling up Friday, Saturday, and Sunday with heaps of exclusive surprises, guest appearances, and world premieres, the champion tone for 2019 has officially been set by this roster of incredible talent. As Main Stage held down one end of the festival, fans flocked to the Live Arena and Worldwide stages for some serious adrenaline rushes. What was special about each day at Ultra was the different vibes among the stages all weekend. One sizeable note that Virginia Key offered was great ease in bouncing around from stage to stage, which surely made for the constant flow of fans moving and grooving to catch a glimpse of what each sphere was all about. In between all the live acts were plenty of things for people to browse over and keep busy as well. From tons of yummy food and drinks, to a massive amount of Ultra merchandise to check out, to VIP areas hosting their own stunning views of the festival, there was no shortage of activities. Headliners ranged all over the spectrum across Ultra’s three-day celebration. Friday acts like Odesza, Tiësto, Marshmello, Dog Blood, Carl Cox, and Alesso brought a literal wave of light and energy to Virginia Key. Each performance felt like something new as people were still in awe of the new location, soaking it all in for the first time as if it were something brand new. It was very cool in a way how this unfolded, making a festival that’s been around for 21 years look and feel as if it were at a new beginning again. As we all know, new beginnings offer incredible opportunities that may not have been presented otherwise, which we have come to find out is the case for Ultra Miami 2019. As the dust settled a bit and guests got acclimated to the new space, the Saturday crowd came back and ready to rage with industry leaders Martin Garrix, Armin van Buuren, 3LAU, Deadmau5, and Zedd amongst many others. Talk about world premieres – Saturday was chock full of them. Regardless of whether you chose to venture to the Deadmau5 Cube 3.0 virtual blow-out, or to Martin Garrix’s haven of dance anthems and the debut of his new “Mistaken” record, both options were a sensational close to the night. Armin van Buuren dished out a taste of rock music during his two hour set, bringing out Van Halen’s lead singer David Lee Roth, together performing “Jump” and leaving a lasting memory for all those who witnessed it. One of our Sunday highlights was the STMPD RCRDS at UMF Radio stage as it was overflowing with charisma and unexpected antics. Although one of the smaller stages, it was a takeover by all the STMPD artists and a celebration of the power of music, friendship, and collaboration. Jumping up for hours of solo, surprise, and back to back sets were DubVision, Justin Mylo, Matisse & Sadko, Julian Jordan, Brooks, Lost Frequencies, CMC$, label boss Martin Garrix, and more. Closing out the Main Stage at Ultra 2019 was none other than The Chainsmokers, who pulled Illenium up beside them to perform their new song, sending the crowd into a hectic frenzy of excitement. What followed was even more exciting, as this led to their jaw-dropping announcement of BIG CITY DREAMIN’ – the new surreal supergroup of The Chainsmokers and Illenium. Lest we forget to discuss RESISTANCE Island, which truly was an oasis of its own. Almost an entirely separate festival itself, thousands of ravers felt at home getting lost in the otherworld of techno and underground vibes. All weekend headliners from Carl Cox to Adam Beyer, Black Coffee, Erick Morillo, Jamie Jones, Hot Since 82, Nicole Moudaber, Testpilot, The Martinez Brothers and dozens more lit up the Megastructure for an island shutdown. Shuttles carried fans all weekend to and from RESISTANCE with relative ease, allowing the island to prosper and thrive despite the distance from the rest of the fest’s stages. Additional noteworthy changes this year included Ultra’s commitment to a sustainable environment. With objectives centered on waste management, responsible resource strategies, community engagement, nature preservation, and pollution prevention, it was clear that this was a major focus for everyone on board the Ultra team and beyond. Some of these efforts were seen in small areas like the absence of straws at the festival, or in larger areas like the transportation coordination using shuttles and ferries to carry mass amounts of people rather than using individual transport options. With its new home at Virginia Key, these environmental strides are crucial to sustaining a long-lasting relationship between the city and the festival. Friday night’s transportation escapades shook things up to say the least (but hey, what’s a festival without some crazy stories right?) With the excess amount of fans that had to make the the alarming journey home, Ultra organizers went pedal to the metal in sorting out the issues. Saturday and Sunday allowed extended hours past 2am for fans to stay and keep partying, as well as a surplus amount of shuttles to take everyone home safe and sound. What we found most powerful was the way that organizers saw what had happened and reacted quickly, owning the unknown and taking steps for a better next few days. There will always be unforeseen circumstances with new events or locations, but we’re very proud to see the final outcome and call it a success, looking towards an even better Ultra 2020!